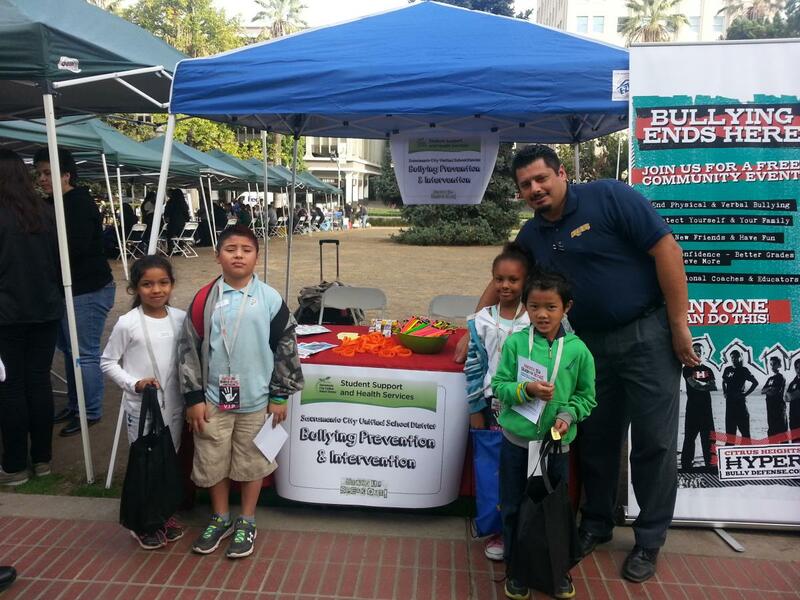 At SCUSD the physical and social/emotional safety of students is a top priority. Media coverage and research alike have shown that bullying can be a real threat to student safety and academic success. In response, SCUSD has developed a comprehensive approach to preventing, addressing, and intervening in bully behavior, helping keep students safe and ensure a healthy learning environment. Given the power of social media to provide instant and far-reaching communication, it can be easy to “blame technology”; however, it is a social problem. 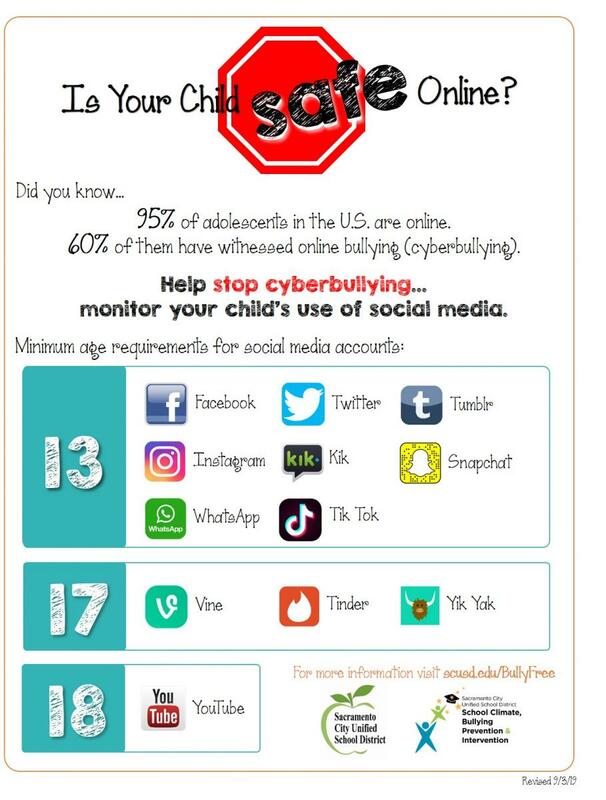 Parents and guardians must know when it is appropriate for their child to open and use social media accounts. Bullying behavior that involves student to student aggression may be reported to any SCUSD employee or administrator verbally or in writing. We encourage parents, guardians, or other individuals concerned about bullying, to first report suspected bullying behavior to their school site administrator (principal). Click here to learn more about how SCUSD is working to infuse Social & Emotional Learning into all schools to help prevent bullying and build student readiness for lifelong success! We encourage parents, guardians, or other individuals concerned about bullying, to first report suspected bullying behavior to their school site administrator (principal).